1960 James Commodore L25 with AMC 294cc 25T engine and 4 speed gearbox. 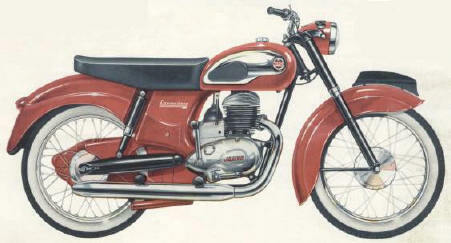 The 1960 - 62 models were offered in Stromboli Red and black with a black dualseat. Whitewall tyres were fitted as standard - flashy ! Stromboli Red is a brighter more "cherry" red than the traditional James Maroon.